There are currently 15 wildfires spreading across North California. 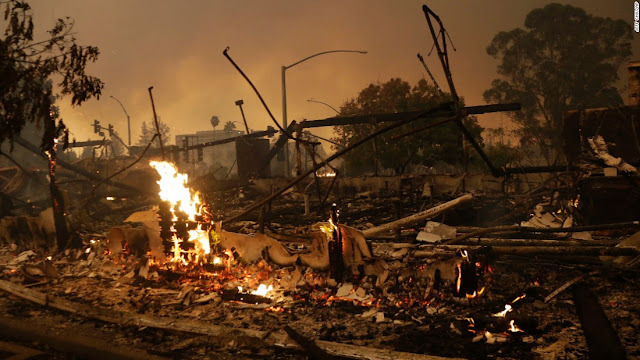 Affected areas include wine country destinations -- Napa, Mendocino and Sonoma counties. Please include this in the daily Natural Disasters meditation if you feel so guided. The map below shows the location of these wildfires, which can be useful when visualising the Powerful Rays of light beaming to the affected areas. Please also note that a list of natural disasters that are recommended to be included in the meditation will be publishedon this blog soon. Hi Hoshino, thank you for all of your work with this blog. I really appreciate it. I have a request, is there a way you could have a sidebar, or an easy to locate location on this blog for all of the current meditations. It can get confusing to sort through the meditations, that way, I believe we will get more participation. Again, thank you and here's to The swift return of All Light! Thank you, See you all in Meditation and to the Victory Of The Light!